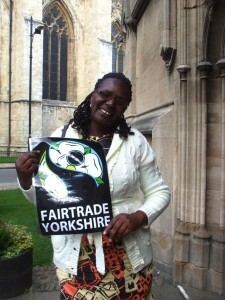 Mama Fairtrade, Patricia Mutangili, has given her backing to the campaign for Fairtrade Yorkshire. On a recent visit to God’s own county, she spoke to supporters about the difference Fairtrade has made to the lives of tea farmers in Kenya. 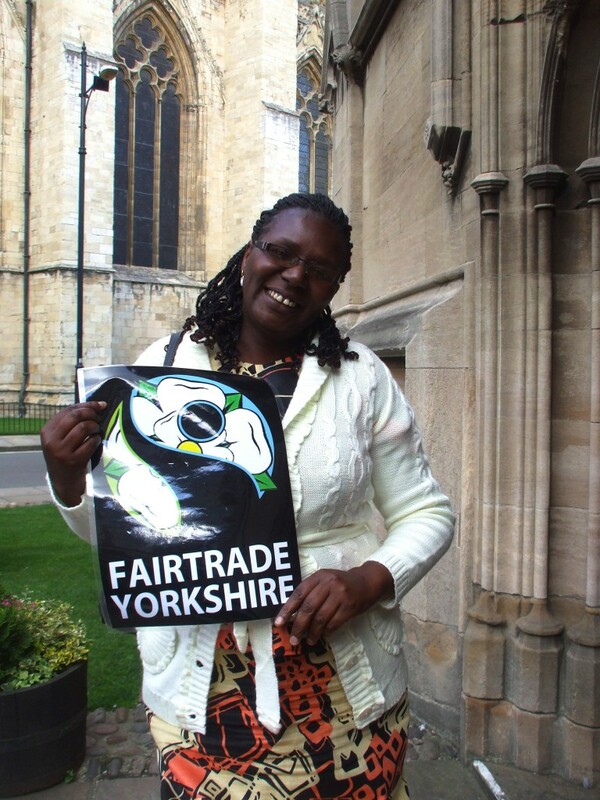 Mama Fairtrade has earned her title because she spreads the message of Fairtrade wherever she goes. Patricia is part of a cooperative of tea farmers who sell their tea to Ndima, which supplies tea used in the Traidcraft range. 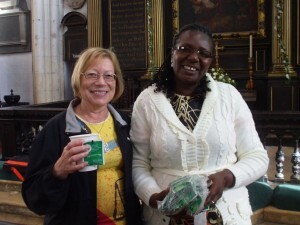 Mama meets East Riding Fairtrade stalwart, Ros Stanley of Cherry Burton. 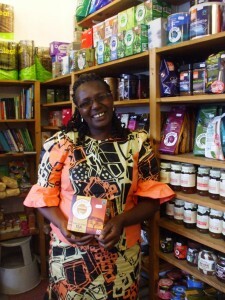 Mama went on to visit York retailers Fairer World. 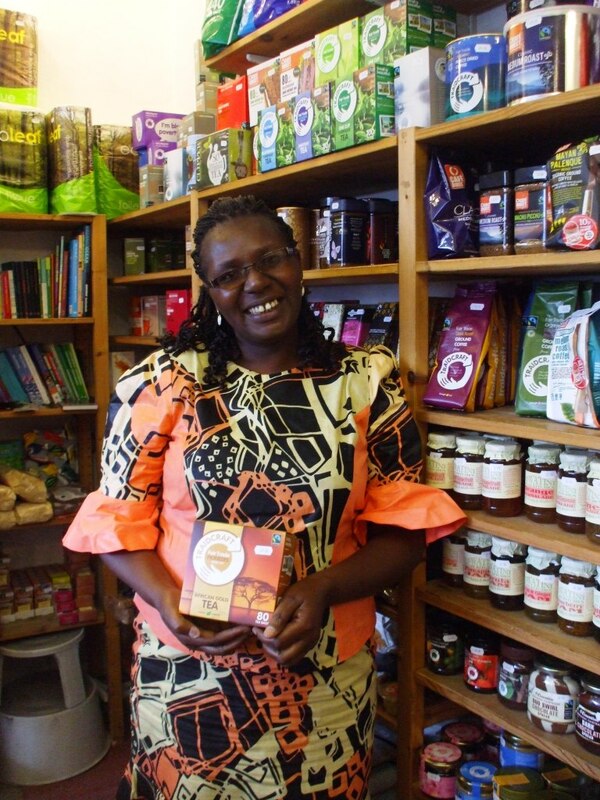 Their shop is in the city’s Gillygate & they have the largest range of Fairtrade & fairly traded goods in the city. It was a thrill for Patricia to find her Traidcraft tea on sale.